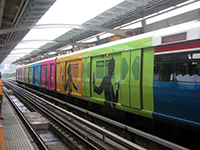 The Transport Studies Unit began recording selected lectures in 2009 and some of these are now available online through iTunesU. 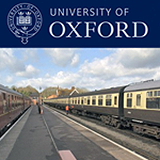 You can also view our podcasts through the University of Oxford Podcasts website. Neil Ross, Principal Transport Strategy Officer, Centro, and Henry Overman, Professor of Economic Geography, London School of Economics, 21 January 2014. Daniel Moylan, The Mayor of London's adviser on aviation, and Sveinn Gudmundsson, Professor of Strategic Management, Toulouse Business School, 4 February 2014. John Howe, International Institute for Infrastructural, Hydraulic and Environmental Engineering, Delft, The Netherlands, and Marcial Bustinduy-Navas, European Bank for Reconstruction (EBRD), 18 February 2014. Iain Docherty, Professor of Public Policy and Governance, University of Glasgow, and Jon Shaw, Professor of Geography, Plymouth University, 4 March 2014. Dr Paul Nieuwenhuis, Centre for Automotive Industry Research, Cardiff University, 15 January 2013. Prof. Greg Marsden, Institute for Transport Studies, University of Leeds, 12 February 2013. Ms Rhona Munck, Transport for London, 12 February 2013. Dr Peter Headicar, Oxford Brookes University, 26 February 2013. Mr Robert Llewellyn, 26 February 2013.